Our support to the environment. The Animal Hotel supports the work of several organizations that protect the environment and help to improve the nature and wildlife around us. The farm on which Animal Hotel is located is an unusual green area, with year round streaming water. There are three small brooks that come together on this farm, and combine to become the El Charcón river. The presence of water allows for an oasis with an exceptional flora and fauna. Nowadays the water doesn't reach the coast anymore, but disappears under ground just before reaching the old water mill Molino del Saltaor, two miles downstream. 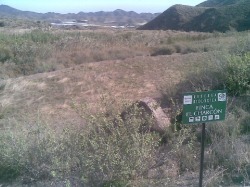 The whole farm has now been declared "Reserva Biológica". Animal Hotel has signed an agreement with the Fundación Global Nature, who will help to manage and improve all that lives in this unique corner of Murcia. 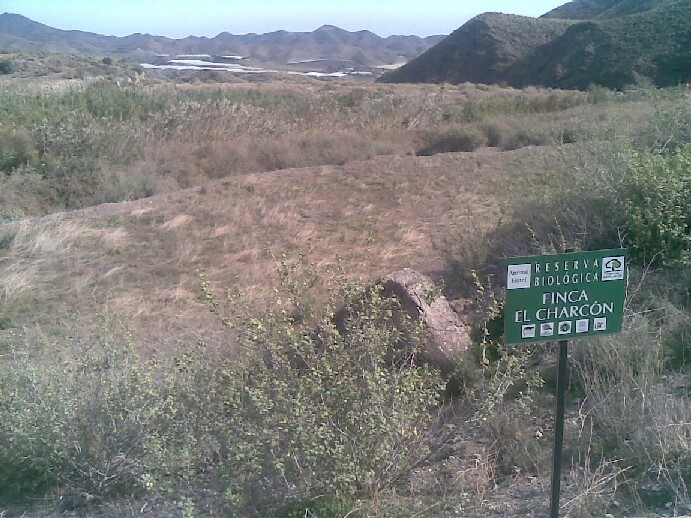 Águilas Natura is the local hands-on environmental volunteers group, who plant trees in reforestation projects (e.g. after bush fire), clean beaches and organizes outdoor activities for youngsters. Animal Hotel supports this organization, and is a full member. The "tortuga mora" (Spur-thighed Tortoise) is under threat in Spain because its natural habitat is disappearing. An area with green vegetation throughout the hot and dry summer is an ideal spot for this beautiful animal. This project is also organised by Global Nature.